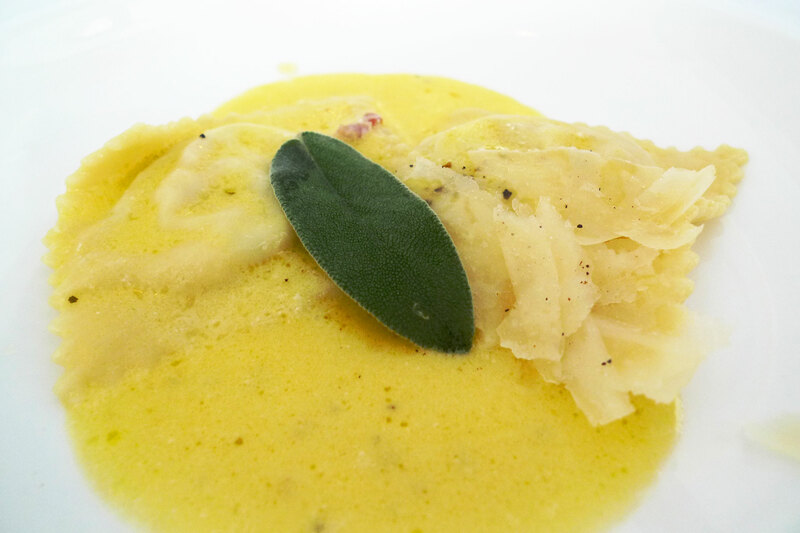 Recently I just went for a tasting session at Cacio e Pepe organised by ieatishootipost. The location is a very ulu off-road somewhere in Paya Lebar but it is a surprising find as the food is quite good, as the makan session proved. 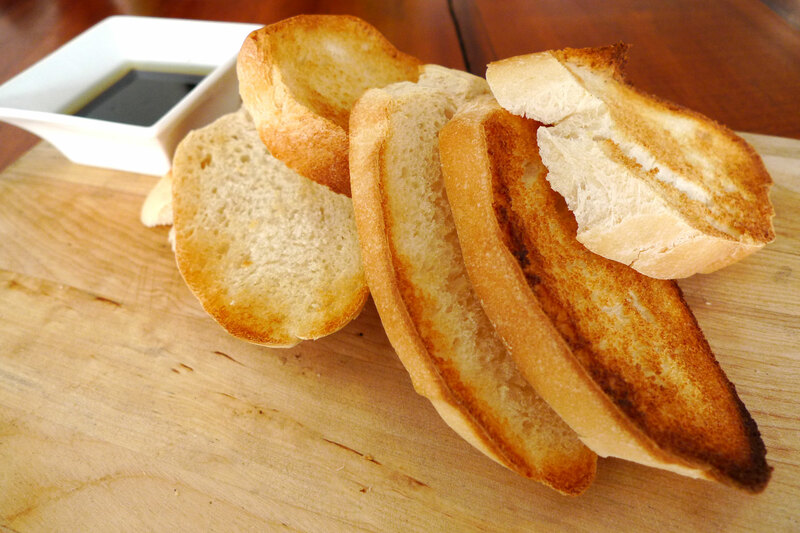 Italian bread with olive oil and balsamic vinegar. Soaking up the vinegar and oil with the bread yielded a really nice taste. 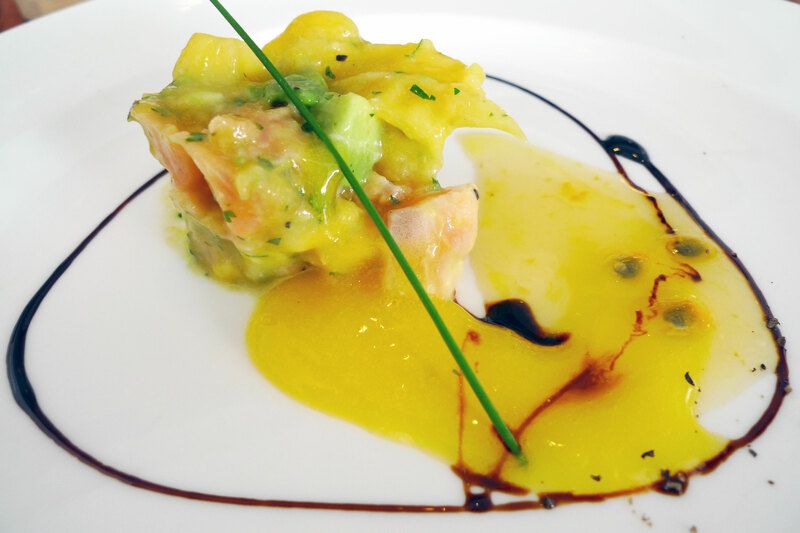 Marinated salmon and avocado with mango and passion-fruit sauce. 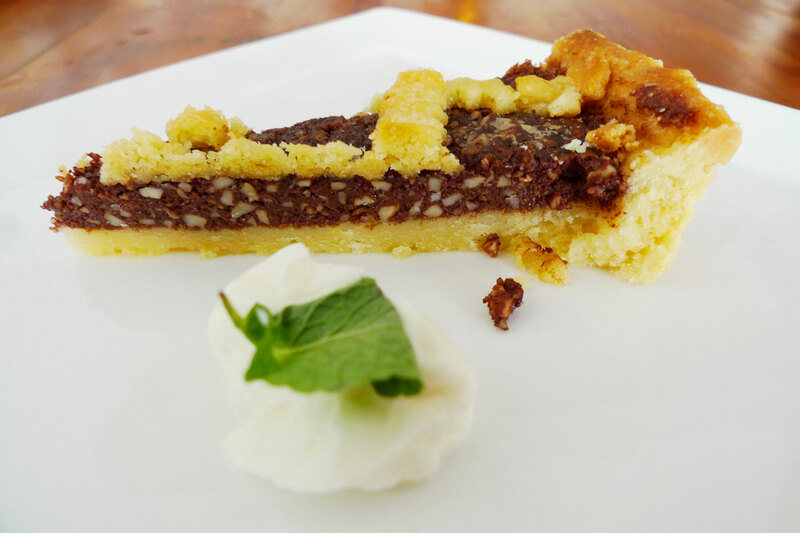 This dish was meant to combine the sweet passion-fruit and sour mango tastes together. 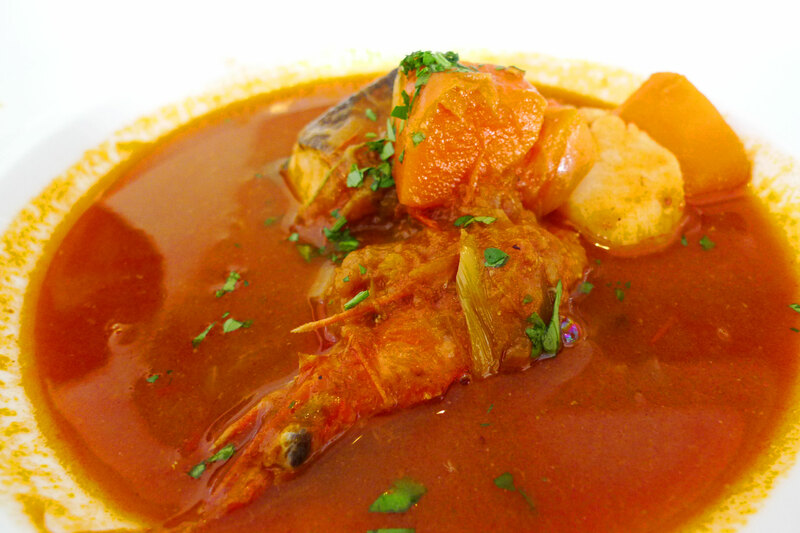 Strong tomato essence in this soup, with a hint of seafood flavours from all the ingredients cooked in it. I must add that the fish was very soft to the bite. This was a very sinful dish as described by the chef, but it was quite delicious! 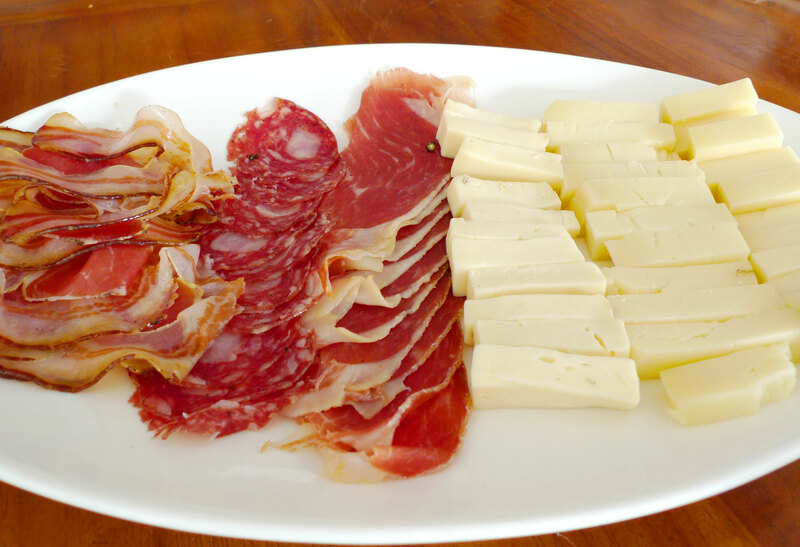 Ham, cheese and butter, it was like carbonara in ravoli form. As much as I liked the previous ravoli dish, I preferred this one even more because of the smoked buffala mozzarella. 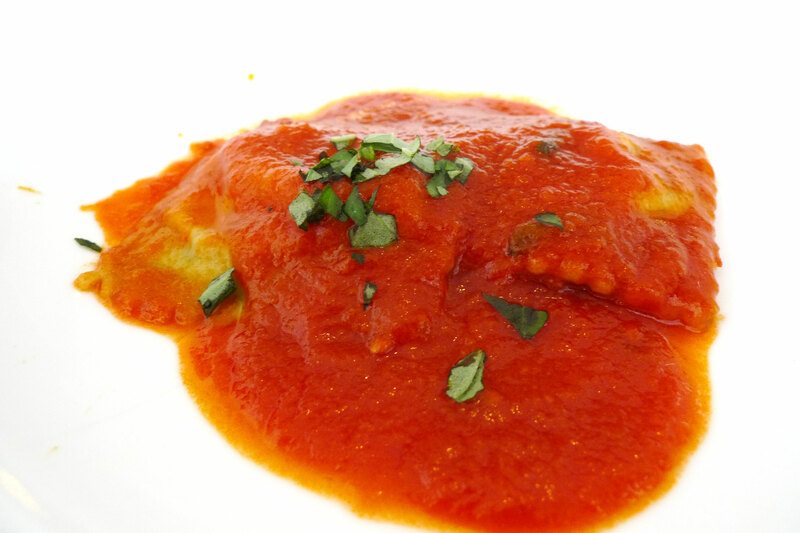 Combined with the great tomato puree sauce, it’s almost like a deconstructed pizza Margherita. 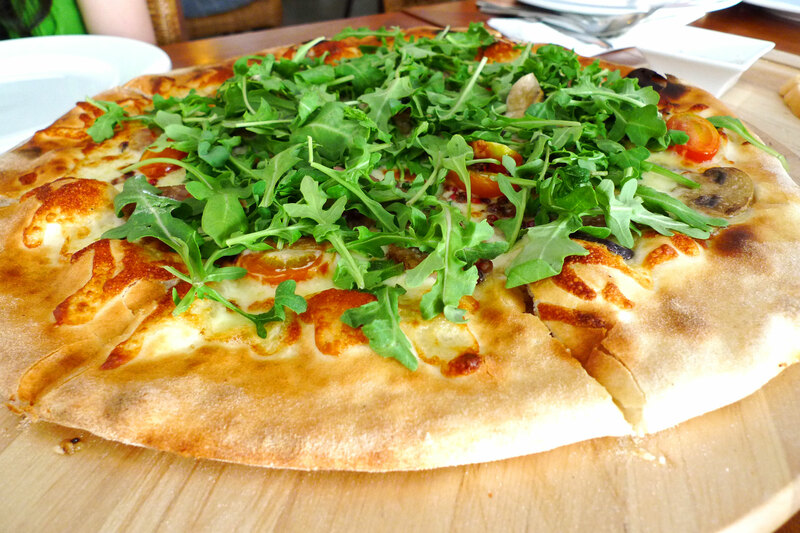 This special chef’s edition pizza was topped with chef Peter’s signature sausage, mushrooms, red peppercorns, buffala mozzarella, cherry tomatoes, and arugula. I have to say this is the first time I’ve tasted red peppercorns in a pizza and it actually went pretty well with the sausage and arugula, although I felt there was a bit too much of it in certain slices. 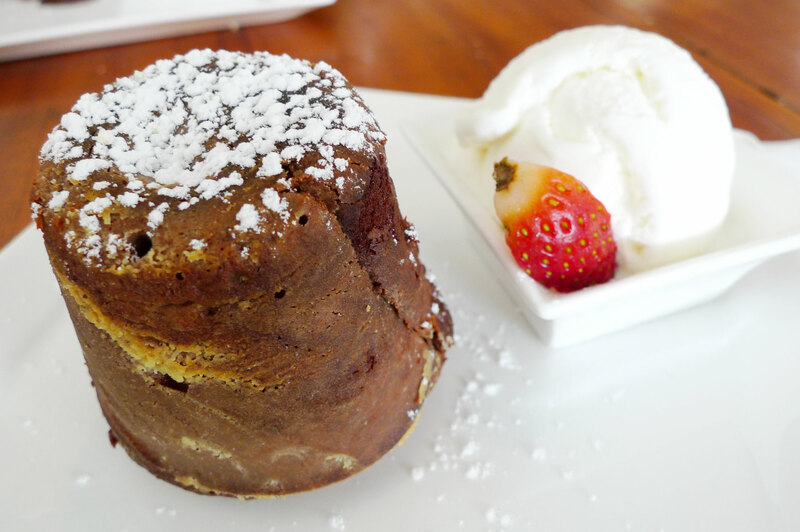 This is the chef’s minor twist on chocolate lava cake by infusing it with a bit of rum and giving it some body. Random macademia nuts found inside! 2 Responses to "Italian tasting session at Cacio e Pepe"
this looks way beyond my level.